The Desert Botanical Garden is an Arizona treasure. I love photographing couples and weddings there. It offers so much variety I feel like you could never run out of new things to shoot and see. Bee and Sam made it extra fun. We talked about the beauty of Sedona (where they're getting married), sweat lodges, and other fascinating bits of Western mysticism. Plus, they laughed at my dumb jokes. Always a win for me. 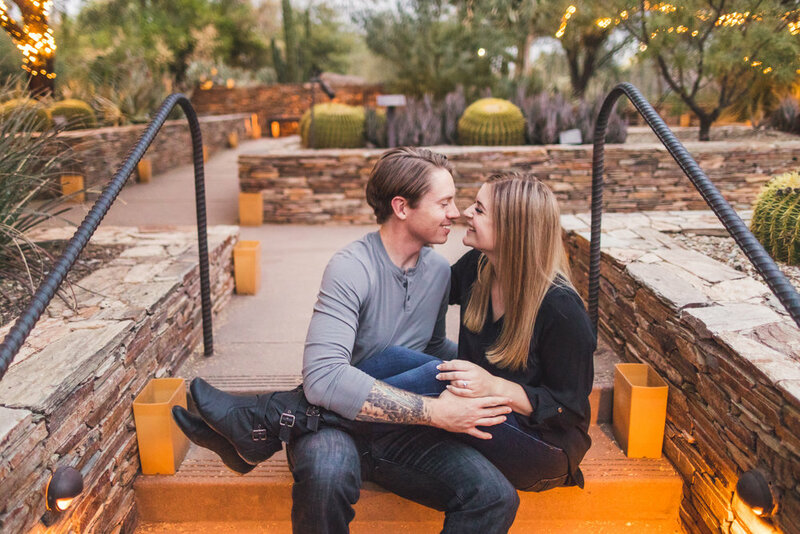 Here are a few of my favorite photos we captured at their Desert Botanical Garden engagement shoot. Aaron Kes (me - hello!) is a wedding photographer hailing from Phoenix, AZ who also travels the country far and wide looking to shoot in fun places with awesome people. Dig it?